I first visited Lanzarote two years ago for a relaxing break with my wife to de-stress from work. After a few days of lying by the pool we hired a car to see the rest of the island and what it had to offer. Once out from the tourist resorts and busy built up areas we discovered that the island had silky smooth roads and fantastic scenery, quaint villages and picturesque coastline. It looked like a great place to ride a motorbike! 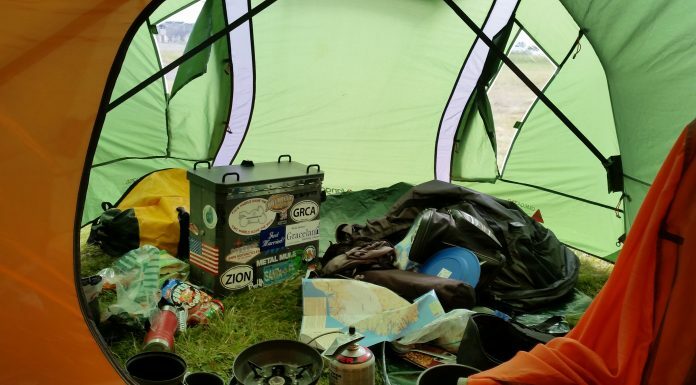 Six months later we returned, searching online beforehand for bike hire in the area of the hotel we where staying at. Most hire shops rented small capacity scooters and 125cc bikes, but with a bit of research I found bike hire near Playa Blanca that rented everything from 125cc to 1200cc good quality machines. I dropped them an email about price and availability and booked a bike for our return. My choice of motorcycle was the Honda CB500X. I had test ridden one a few months before and felt comfortable on it, plus it was easy to ride with feet firmly on the ground for good stability when carrying a pillion. Bike hire was simple. All I needed was my drivers licence, passport, hotel room number and credit card for refundable deposit. Most hire shops will rent you helmet, jacket and gloves, but I prefer to wear my own as sometimes the fit of helmets and gear can vary on each individual. I carried my riding gear on the plane with me, wearing jacket and Kevlar jeans on the flight out there. Lanzarote isn’t a very large island, with very few roads meaning no real planning was done or needed. We just headed down the road once formalities had finished and made it up as we went along. As an average we spent 5 to 6 hours riding on a day, stopping for pictures and coffees and covering about 150 miles in total. Once out in the centre of the island we couldn’t help but notice the amount of unpaved and gravel roads leading away from the main roads and out into the mountain areas. I was interested to see if anyone hired or takes enduro bikes to these areas. Returning the bike to shop I also asked if, when we return the following year, we could take the ferry to the neighbouring island of Fuerteventura. The owners of the shop were happy to rent us the bike and allow us to take the ferry to the island for the day but didn’t know of any enduro tours on the island. 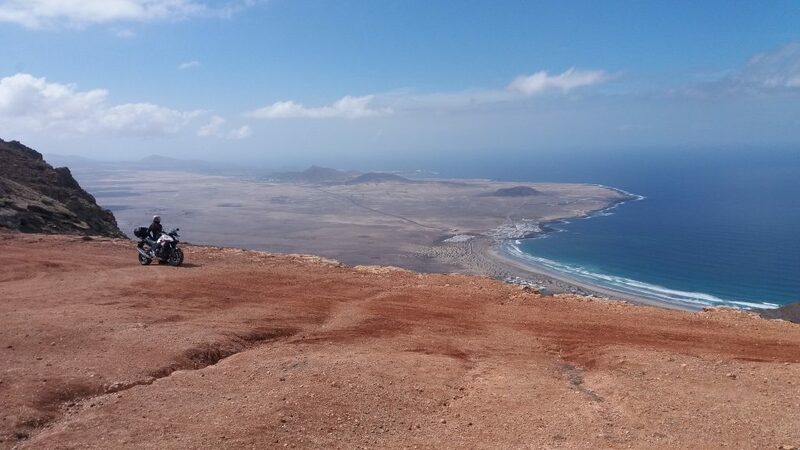 Back in the UK I searched online and found a chap called Paul Sully, the only person on Lanzarote who would take me off-road around the island. Following the exchange of a few emails we arranged to meet up on what would be our third visit to the island. Again, we would be hiring another Honda CB500X and planned on taking the ferry to Fuerteventura, which is only a 35 minute or so sail away. 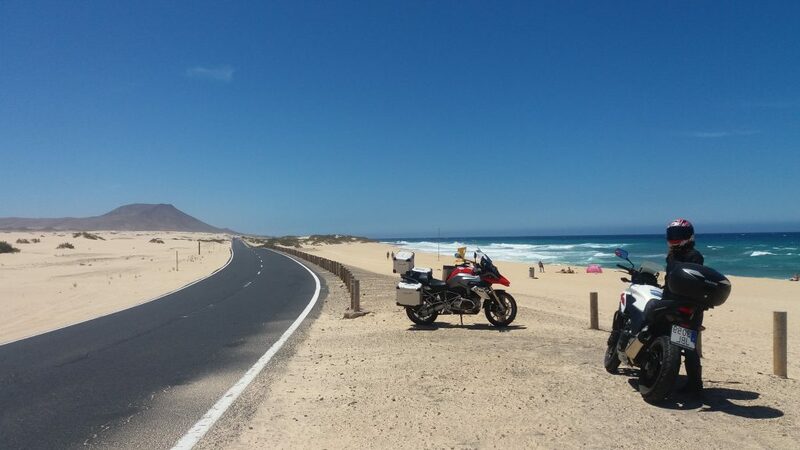 I carried a detailed ordinance survey map of Fuerteventura and a route marked up thanks to friends on Facebook who had ridden the island before and had given me points of interest. The island didn’t disappoint. It was more mountainous than Lanzarote with perfect riding conditions. The weather was warm, with very little traffic, plenty of twisty roads and points of interest along the way. We spent a total of 8 hours on the island, starting with an 8am ferry across from Lanzarote to Fuerteventura, then a 4pm return. In those eight hours we covered a total of 150 miles and had an amazing day of riding. 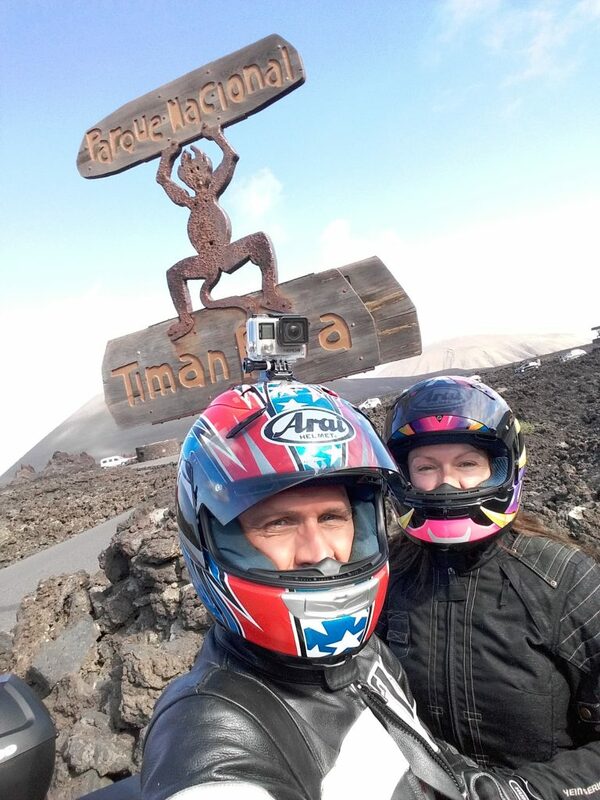 The day before we were due to fly back to the UK I contacted Paul Sully regarding the enduro bike tour of Lanzarote. While my wife Rachel lay by the pool I met up with Paul and went off trail riding for half a day on a Yamaha WR450F he’d hired me. The route took in everything from beach riding. 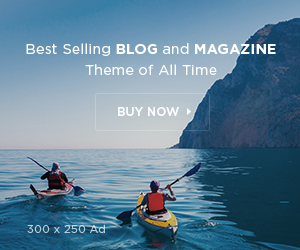 dry river beds, mountain tops and across deserted farmland, as well as all the small trails and unpaved roads. It was a fantastic day of trail riding. 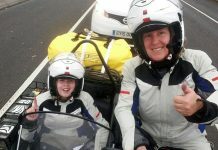 It was after that third trip to Lanzarote that I became friends with Joy Allen, the owner of Canary Motorcycle Tours. She was based on the island of Gran Canaria and reckoned it was biking’s best kept secret. After a chat with my wife we decided to give this island a visit too. The deal is that she finds the hotel, whilst I find bike hire and start planning a route. A company by the name of Moto and Bike Rent in Playa de Ingles (www.motoandbike.com) offered the best options for rental, with quality bikes and offering another Honda CB500X for two days of riding, plus hotel pickup in the morning and return. Again, it was just the simple formalities of hiring; licence, passport, room number of hotel, and away you go. Ten minutes out of the tourist zones and, as Joy promised, the island opened up to be one of the best places I’ve ridden. The scenery, roads, coastlines, numerous hairpins, single track lanes with no walls or barriers with 200 feet drops either side. This was finding everything I like in riding a motorcycle. 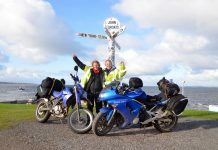 Having picked up a good detailed map of the island I plotted two days riding for myself and Rachel as pillion. We took in as much as we could in so little time, covering 275 miles over those two days. We will be returning to Gran Canaria in April to discover more. I’d say that four days’ riding on this island would be plenty. In my opinion I think these islands are ideal for any rider of any experience. Also, if you have a partner who is not interested in motorcycling or you have a family and both parties want to enjoy your holidays, then you can easily compromise and spend a few days relaxing by the pool, then the rider can hire a bike for a few days to explore the islands. By comparison, it’d take me two full days to ride down to the South of France or to the Alps, not to mention the cost of two ferries, hotels, toll roads, fuel, tyre wear and probably £1500 out of my pocket for 10 days travel. And out of those ten days only six are spent down in location. Four days are spent in transit. Instead, the wife and I spent £1400 on 7 days all inclusive at a 5 star hotel. It was four hours flight time and an average of 60 Euros a day for bike hire. This can rise to 125 Euros if you prefer a GSA or KTM Adventure, as those bikes are available, but arguably not necessary as your average speed is around 55mph. The only other expense we had was the ferry from Lanzarote to Fuerteventura, which was 88 Euros return for bike and two passengers. Paul Sully’s enduro ride was 150 euros. 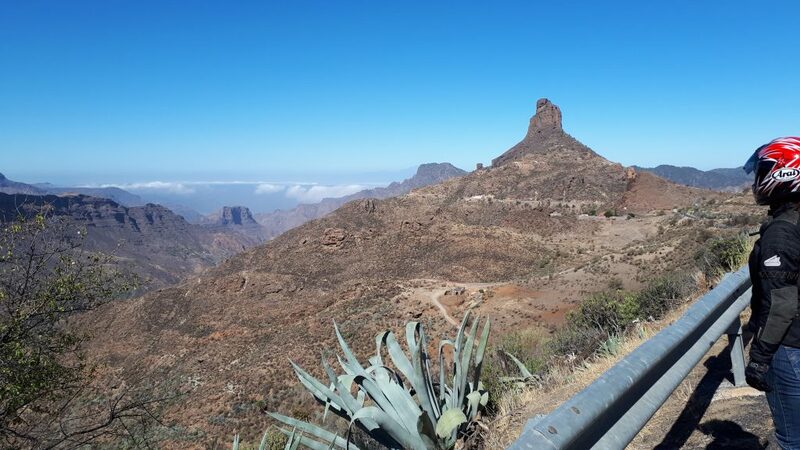 Out of the three islands we’ve ridden so far, Gran Canaria is the best for all round biking needs. In four hours from a UK airport you can have a week’s riding, in warm weather, on smooth twisty roads and only 10 minutes from your hotel. Experience is needed on some of the mountain hairpins, the cambers can be quite steep and corners are very tight, even on the single lane, two way roads, but the coastline and mountain roads are only minutes from each other. 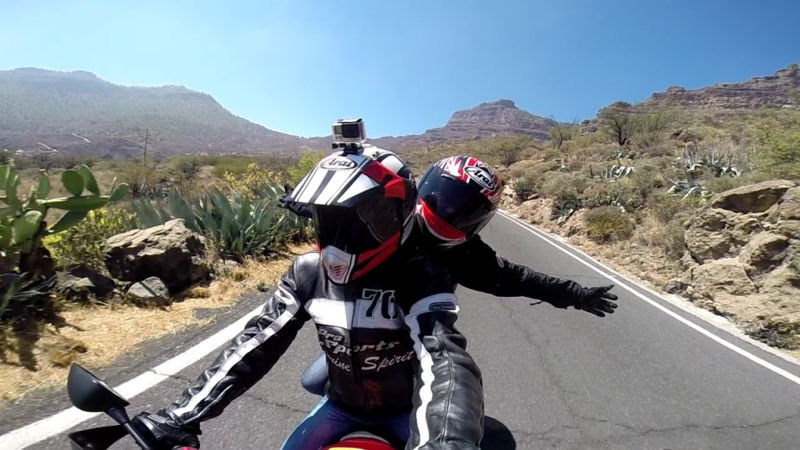 We’re planning to ride Tenerife in the next year or so, taking ferries to island hop on a tour of all the islands. That should be a good trip. A trip like this is very easy and straight forward to plan. 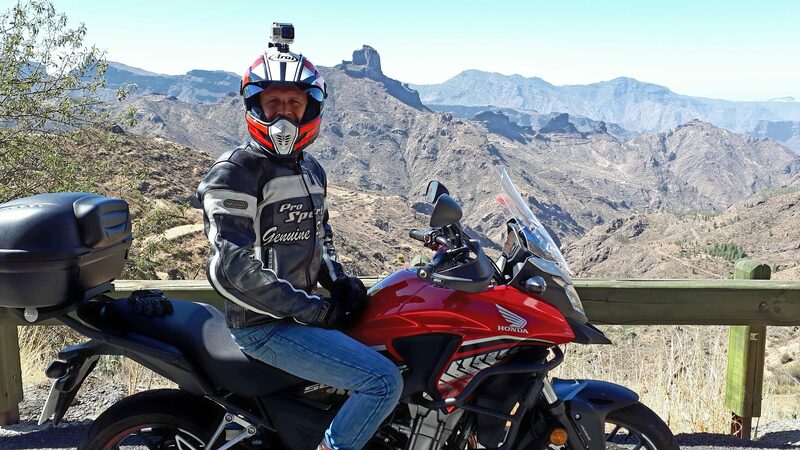 The only problem I had was convincing the owner of the hire shop in Gran Canaria to let me ride the roads I had in mind as he advised me not to take them due to the cambers and 200 feet drops. 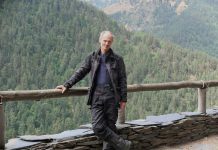 Once I’d shown him pictures of the Stella Alpina and roads in the Alps I’d ridden previously he was bit more understanding!